Ending months of speculation, DC Entertainment has named the new publishers (yes, plural) of DC Comics, and comic fans will find their identities very familiar. Also, someone else you may know has gotten a big promotion. Dan Didio and Jim Lee will serve as co-publishers for DC Comics, it was announced this morning, with Blackest Night and Green Lantern writer Geoff Johns being named as Chief Creative Officer for DC Entertainment at the same time. Didio, formerly the Senior VP and Executive Editor of the DC Universe line, has been the sometimes controversial face of DC's main superhero line since joining the publisher in 2002 after a background in the television industry. Lee was also a VP, and was Editorial Director of the Wildstorm imprint he created as an independent studio and sold to DC in 2000. Lee's been as important behind the scenes for the publisher (including designing the long-awaited Sony/DC Universe MMO) as he has a comic creator, raising the profile of series like Superman, Batman and All Star Batman and Robin The Boy Wonder with Frank Miller. This announcement continues and underscores DC's legacy as the ultimate destination for creators. We'll benefit enormously from the deep experience this team represents, while re-energizing the direction and focus of the company. I'm excited and honored to have each of them with me at the helm of DC Entertainment. 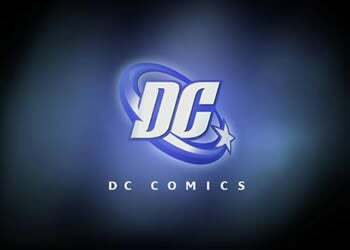 With a new executive team finally named, expect announcements about DC Entertainment's future plans very soon. Wonder if they'll include Didio's rumored pet project, Watchmen 2...?